How to make egg trays at home? Many small business investors and chicken farmers would like to ask the question. 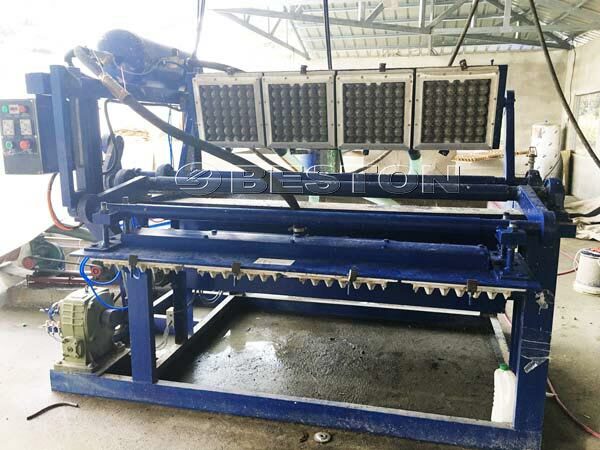 Beston Machinery, as one of professional paper egg tray making machine manufacturers, would give you appropriate egg tray manufacturing project plan for you. As everyone knows, eggshell is very easy for broken. 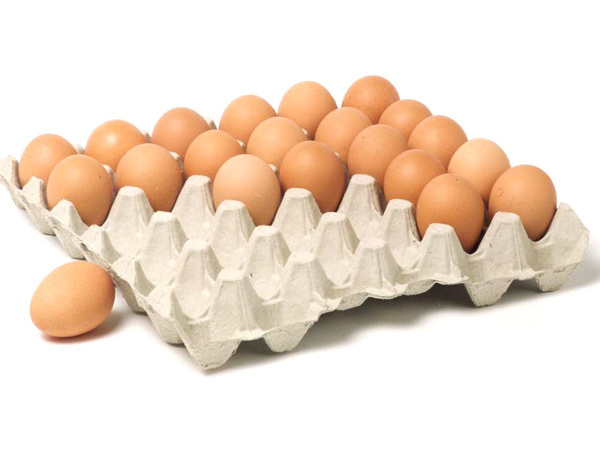 Egg trays were just invented for protecting the fragile eggs during transportation. Plastic egg trays were popular on the market. Now, people paid more attention to the environmental friendly. Therefore, it is advocated that we should use paper packing products, such as paper egg trays, paper egg cartons, paper apple trays, paper shoe supports, paper bags. Then, many kinds of paper egg trays are appearing on the market. If you want to make egg trays at home, we would recommend you to invest small egg tray making machine(BTF-1-3, BTF-1-4). The machines can make 1000pcs, 1500pcs paper egg trays per hour. Here are the reasons why you should choose these egg tray making machines. Firstly, small volume and small covered area. If you choose to produce egg trays at home, small area will be your first question to consider. BTF-1-3, BTF-1-4 are a kind of small machine that has small volume. They are very suitable for installing at home. Secondly, small type of egg tray drying system. 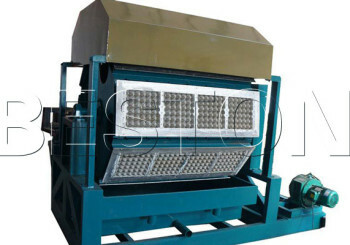 Like 1000pcs, 1500pcs paper egg trays per hour, you can dry wet egg trays under the sun. Also, you can choose the brick building cart drying line, wet egg trays can be removed the extra water in drying room. According to the weather in your place, you can choose dying under the sun or in the drying room. In fact, egg tray manufacturing process is very simple. 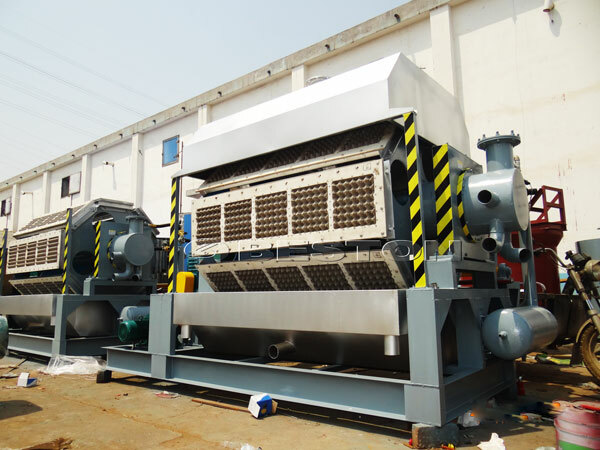 It contains three parts: pulp making, forming, drying, packing. You should prepare the pulp pool, brick building egg tray drying line. 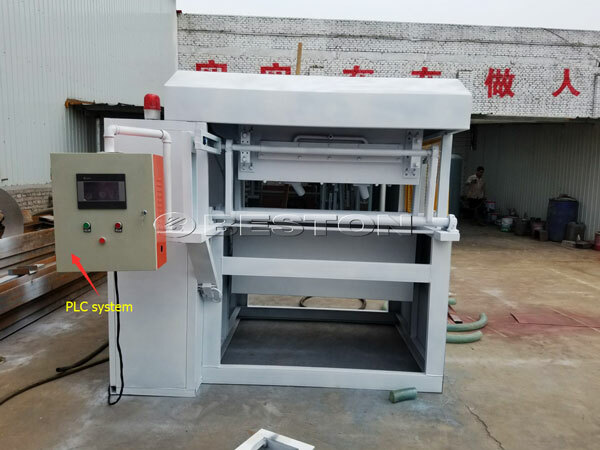 After you purchasing the egg tray machine from our factory, we can send our engineer to help you install the egg tray plant for sale and build pulp pool and drying line. If you want to know more about how to make egg trays at home and how to make egg trays manually, contact us.